around the place four months, Jones told Disney the only job at the studio he really wanted was Disney's own. Fortunately, his former employer came to its senses, reinstated the cartoon department, and he was back in business with Marvin the Martian and The Road Runner. Charles Martin Jones, born Sept. 21, 1912, eventually did achieve a position much like Disney's, supervising the entire production and enjoying the profits from his creations. But his first job in animation was as a lowly cel washer. That's what he did for the Ub Iwerks studio, when he started working there in 1931. Jones attended California's prestigious Chouinard Art Institute — but he says his real training in art came much earlier, in a childhood spent surrounded by cast-off pencils and stationery from his father's succession of failed businesses, fueled by a penchant for observing what he saw around him and a drive to commit his observations to paper. Whatever the source of his drawing ability, he started using it early on at the Iwerks studio, as he was quickly promoted to in-betweener. He served brief stints at the Charles Mintz and Walter Lantz studios before landing at that of Leon Schlesinger in 1933. Schlesinger's studio supplied the cartoons released by Warner Bros., and it happened to have a crying need for good animation men just then — Hugh Harman and Rudy Ising, whose studio supplied those same cartoons to Schlesinger so Schlesinger could supply them to Warner, had quit, and started supplying their cartoons to MGM instead. Before long, Jones was a full-fledged animator. When Tex Avery came to work for the studio, Jones wound up in his unit, along with Bob Clampett. Within a couple of years, both were directing cartoons on their own — Jones's first was The Night Watchman, released November 19, 1938. Its star was Sniffles the Mouse, the first of many characters attributed by Chuck Jones. Jones's other Warner Bros. characters include Inki, Claude Cat, Wile E. Coyote and a host of others — and of course, he played a large part in the development of the studio's biggest stars, Bugs Bunny, Elmer Fudd and Daffy Duck. He also worked with Dr. Seuss on the Private Snafu series for the U.S. Army; and with the people who would later found UPA, the studio responsible for Gerald McBoing-Boing and Mr. Magoo, on a political cartoon titled Hell Bent for Election. In 1942, Jones directed a non-series cartoon titled The Dover Boys, in which he experimented with a highly stylized form of limited animation. Its clean, open design and its angular human figures were echoed toward the end of the decade in the cartoons produced by UPA, and during the 1950s practically everywhere in the animation industry. Jones stayed with Warner Bros. (which bought Schlesinger out in 1944) all through the 1940s and '50s (except for that brief stopover at Disney). From A to Z-z-z-z (1952), Duck Amuck (1953), and High Note (1960) are only a few highlights of his stellar career there. His 1949 cartoon, For Scent-imental Reasons, which introduced Pepe LePew, won an Academy Award — as did a lesser-known film in which he collaborated with fellow Warner director Friz Freleng, So Much for So Little, the first cartoon to take that award in the category of Documentaries. A good half-dozen of his Warner films were nominated for Oscars. His 1957 release, What's Opera, Doc?, was the first animated cartoon inducted into the National Film Registry. By the time the studio finally did close its doors, in 1962, Jones had accomplished so much that if he'd simply retired, he'd still be remembered as a giant in animation history. But he went on to head MGM's newly-revived animation department, where he left his mark on Tom & Jerry. While at MGM, he also directed another Oscar winner, The Dot & the Line, based on a story by Norton Juster. His first TV special, Dr. Seuss's How the Grinch Stole Christmas (1966), won a Peabody Award — and so did his second, Dr. Seuss's Horton Hears a Who (1971). In the late '70s, Jones started working with the old Warner Bros. characters again, as his production company packaged those old cartoons into prime-time TV specials with new interstitial animation. By '79, that sort of repackaging blossomed into an entire feature, The Bugs Bunny/Road Runner Movie. In 1980, Jones produced an actual new cartoon for one of the TV specials — Duck Dodgers in the Return of the 24½th Century, a sequel to his 1953 Buck Rogers spoof. Since then, he's done several more with the old characters, including Another Froggy Evening, an attempt to reprise his 1957 success with Michigan J. Frog. 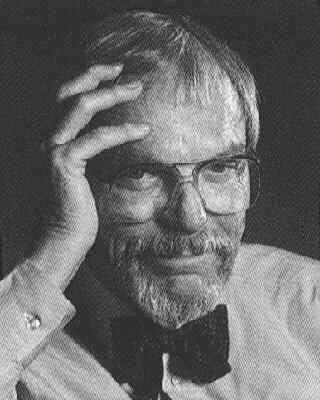 Chuck Jones died Feb. 22, 2002, active to the end — and by the way, he won a fourth Oscar in 1996, for lifetime achievement. Not bad for a former cel washer. Text ©2001-07 Donald D. Markstein. Art © Chuck Jones.